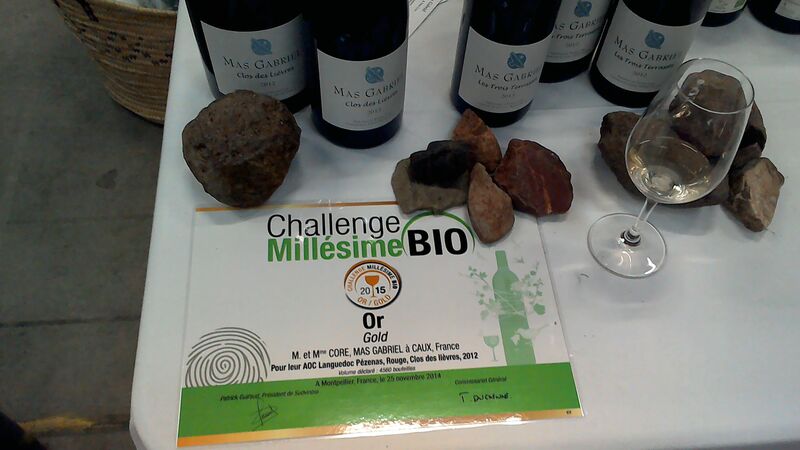 The main salon of Millésime Bio took place in Montpellier from January 26 to 28th. 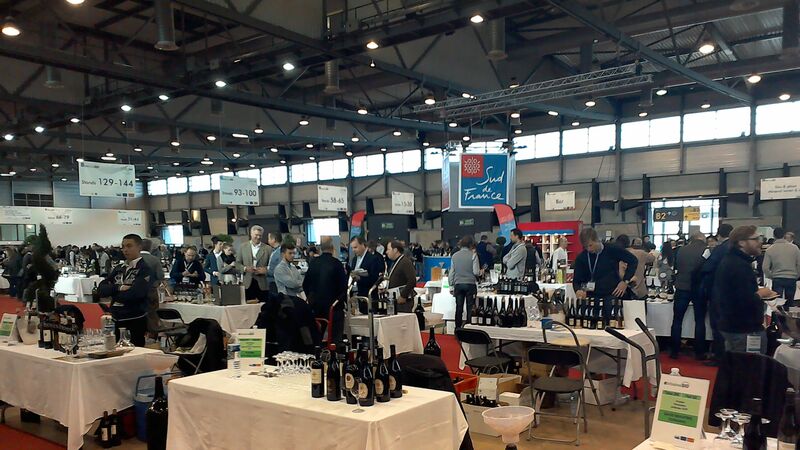 It was a fun event with a huge range of winemakers. I had long lists of the I hoped to taste from but sadly didn’t get near completing it. 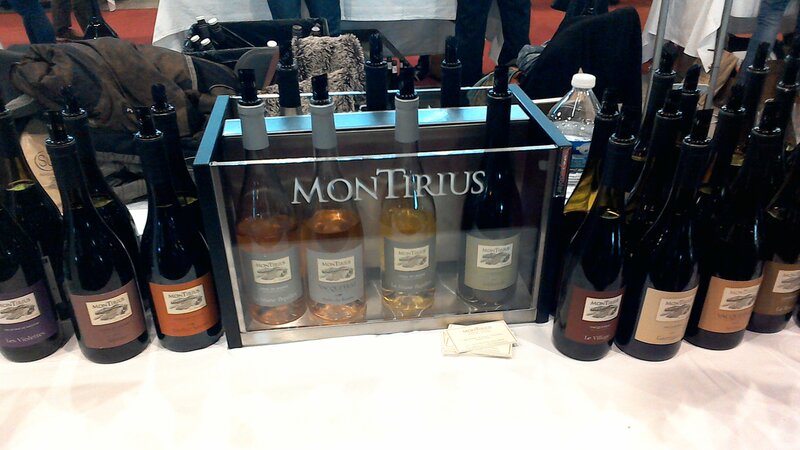 I took the opportunity to try wines from outside the Languedoc Roussillon though I tasted many of those too. 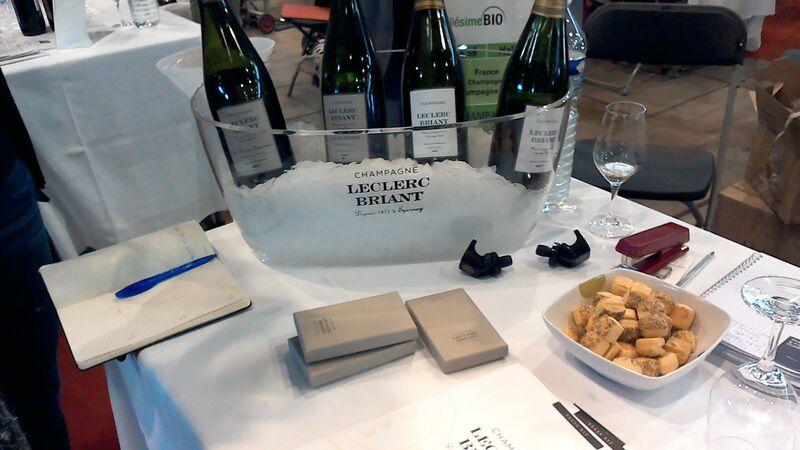 It was good to renew my love of Alsace and Burgundy, to remember why Champagne is very much the best sparkling wine and to enjoy delicious white wines and, especially, sweet wines from the Loire. I hadn’t expected Italy to provide some of my highlights but you will see that it did indeed, I must visit more Italian wines and the vineyards themselves! A personal highlight was seeing Mas Gabriel win a Gold medal for Clos Des Lievres 2012, Peter and Deborah Core make lovely, rich, fruity wines and it is a range which gets better and better as their work on the land shows through increasingly. 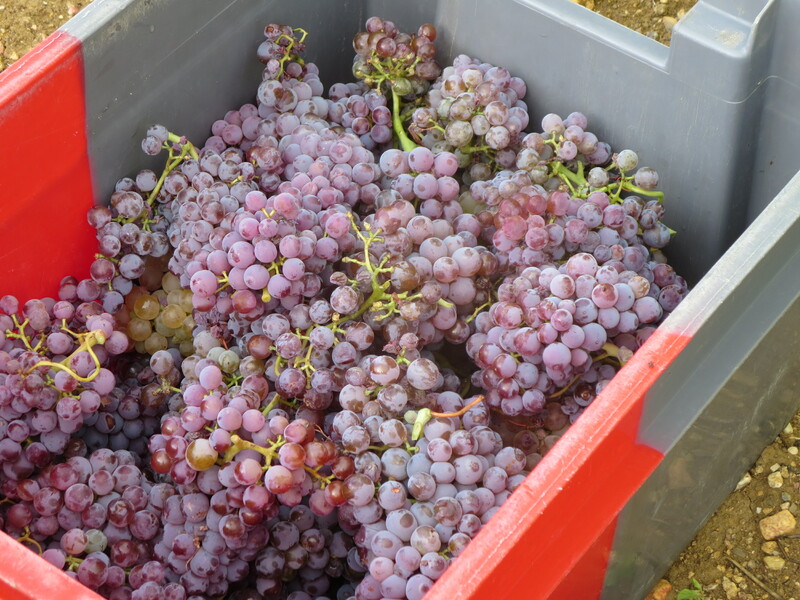 A new Grenache Gris white wine was a worthy addition. Congratulations. What follows is a list of producers I particularly enjoyed visiting. There were many other individual wines but they would make this post even longer. 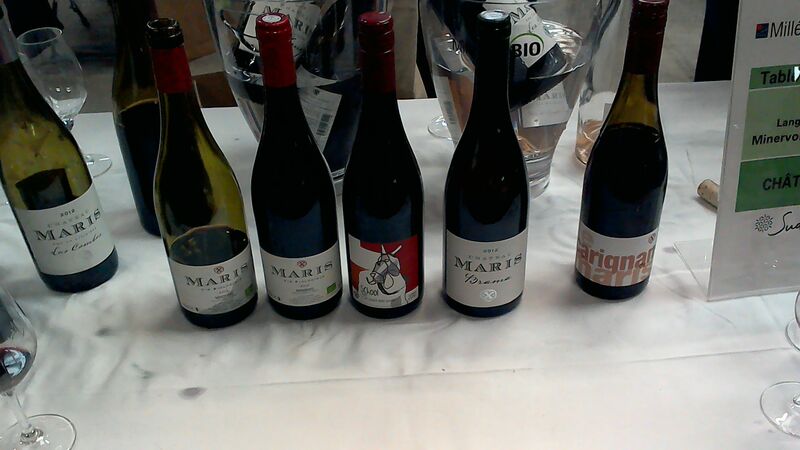 I heartily recommend these producers and if you get the chance try their wines. 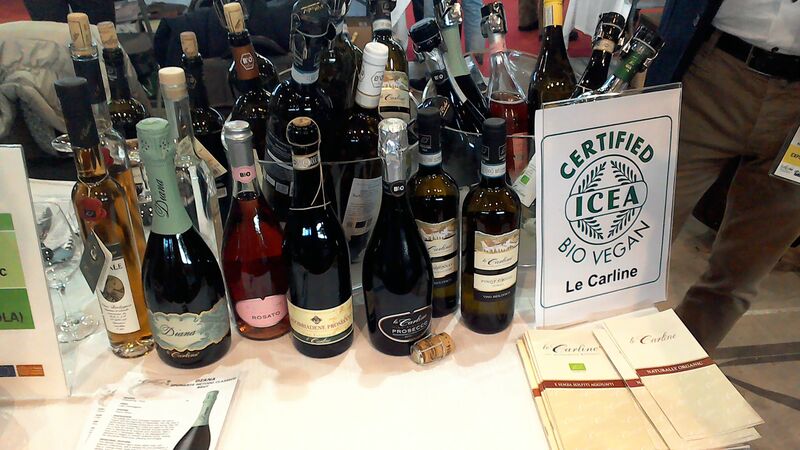 Az Ag Le Carline (Venezia) I have to say that this was my favourite tasting of the whole event. I knew nothing about Daniele Piccinin’s Azienda beforehand other than reading a little in Isabelle Legeron’s book. 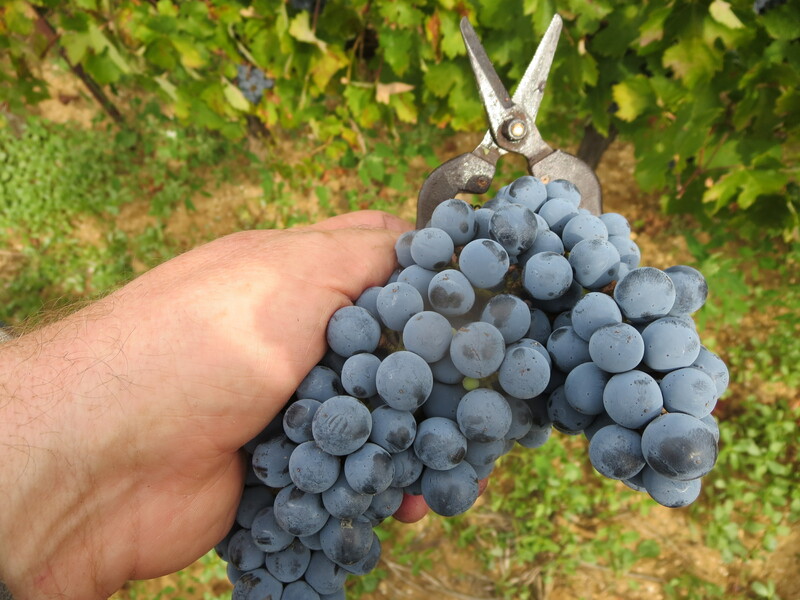 Daniele was helpful, enthusiastic and is a top class winemaker. P’tite Gaby a sulphite free version which had lots of fruity, floral pleasures and a great balance of sweetness and dry finish. 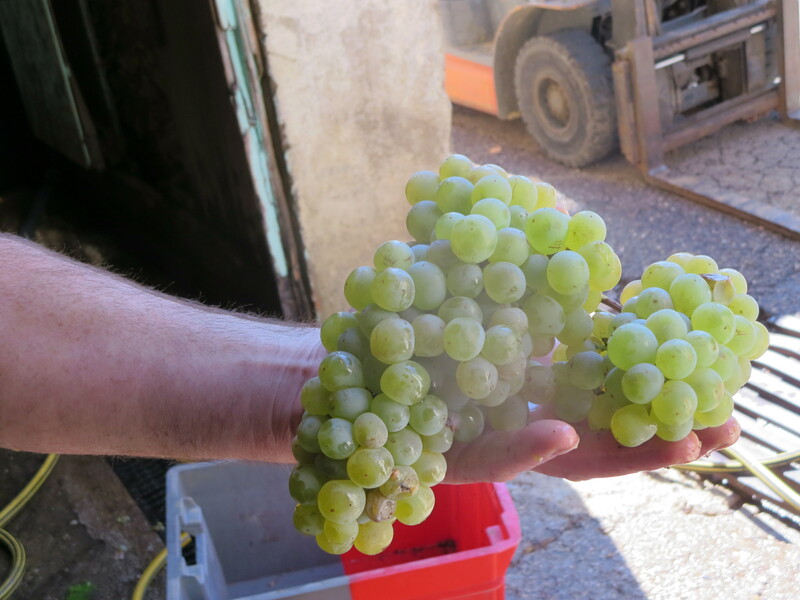 Riesling Gebling Erste Lage 13 – Very clean, dry and mineral. Lovely. Deux Ânes (Corbières) A domaine situated near the sea and I am sure it is a coincidence but there is a refreshing, cleaning finish to these wines like a sea breeze blowing through them. 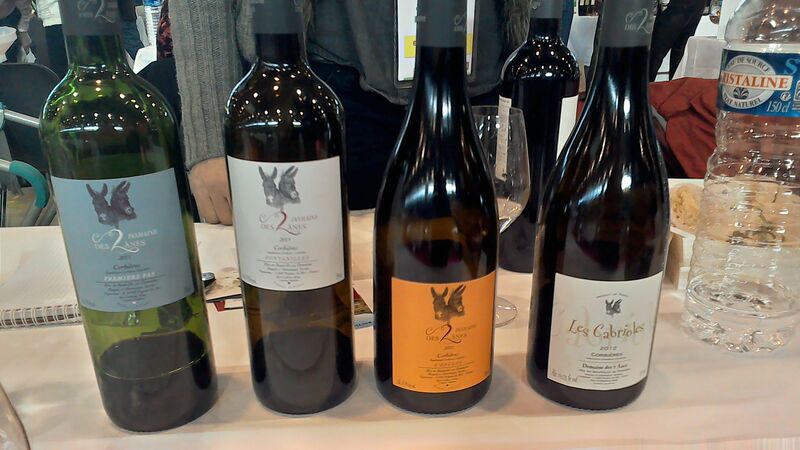 Vignerons d’ Estézargues – an innovative co-operative in the east of the Languedoc where local producers’ wines are made separately (as well as some joint blends) according to their wishes, but often in a natural style. La Baronne Corbières, yet another interesting Corbières estate. Interesting and fresh white wines especially the pure Grenache Gris which is partly macerated on skins and very expressive. 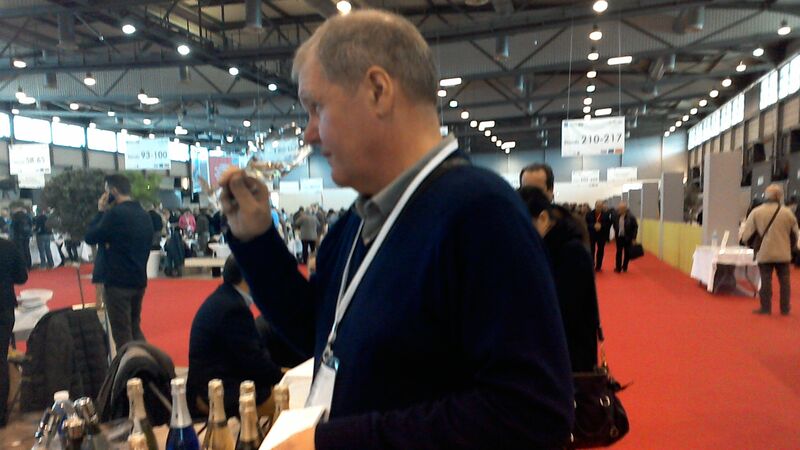 L’Oeillade 14 – sampled from tank but already rich, round and refreshing. I love this cuvée. 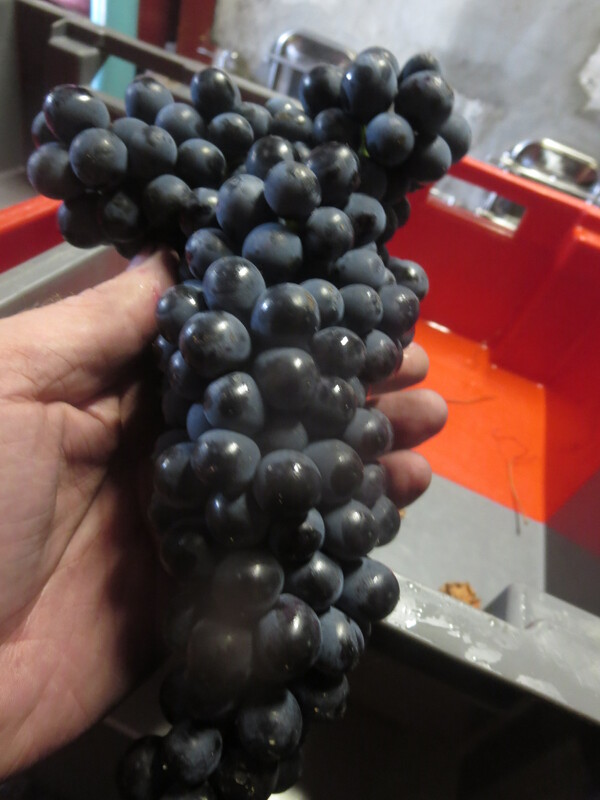 Peau Rouge 12 Syrah and Carignan was wild in aromas, amazing aromas. Dry, steely but fruit balanced. Lovely. The 13 was darker and more acid but nice. Mas Des Agrunelles – an isolated domaine allowing real control of their land and organic grapes.I only tasted the whites and they were very good, even a 100% viognier was fresh and clean. I must taste the reds soon. Moreau – a clear reminder of how Chablis is such a great white wine area with richness and fruit bit always that clean, refreshing balance and, yes, minerality. 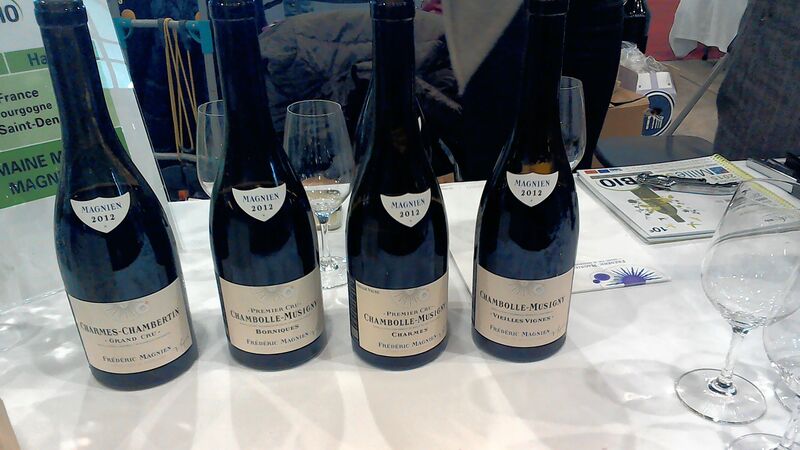 Tasting took off beyond the merely good at the 1er and Grand Cru levels. 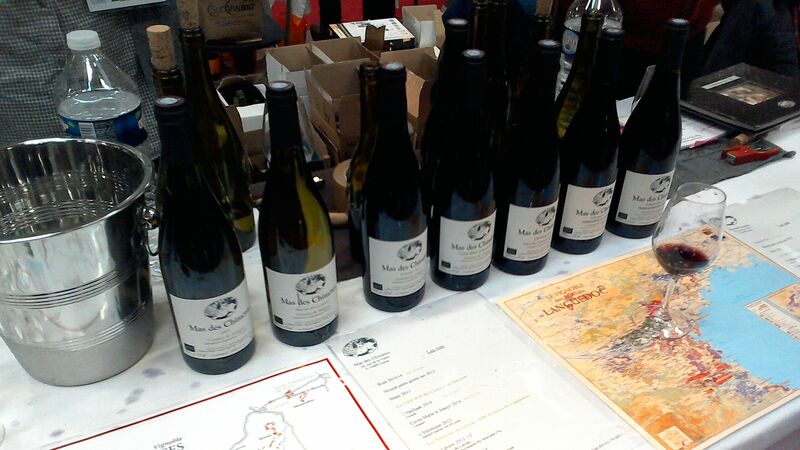 Michel Magnien -nice range but gets really interesting above village level. All 2012. Great balance between freshness and rich Pinot fruit. Lively aromas too. 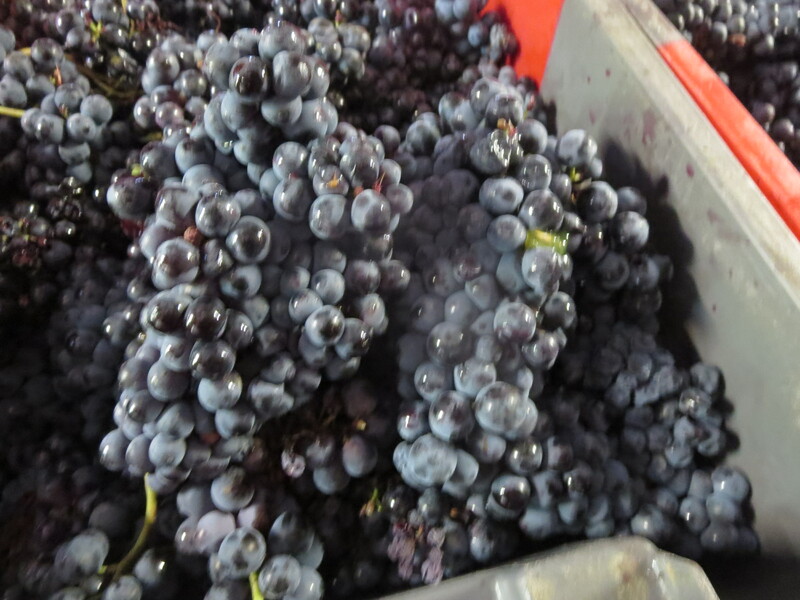 Morey Saint Denis Les Chaffots 1er Cru even richer, ripe and round, Lovely. Clos De La Roche – just a terrific glass of wine even now but with such power and elegance that I can only imagine how it will develop beautifully over the years. 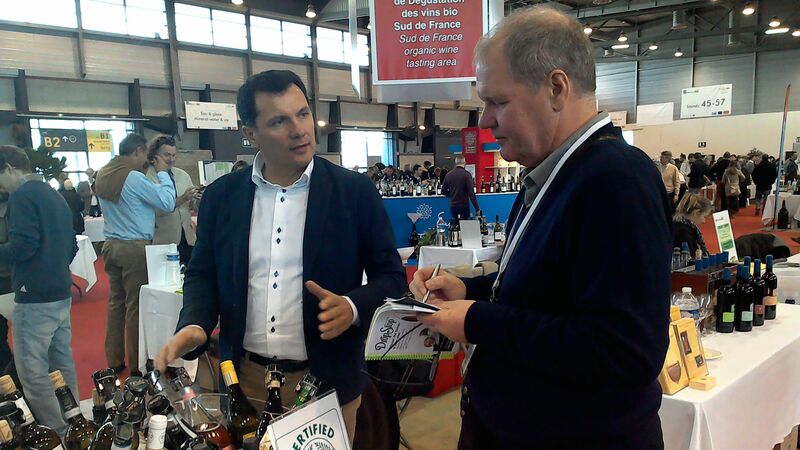 Reuilly Les Fossiles 2012 – everything you want from Sauvignon Blanc, clean, green and fresh. Lovely. 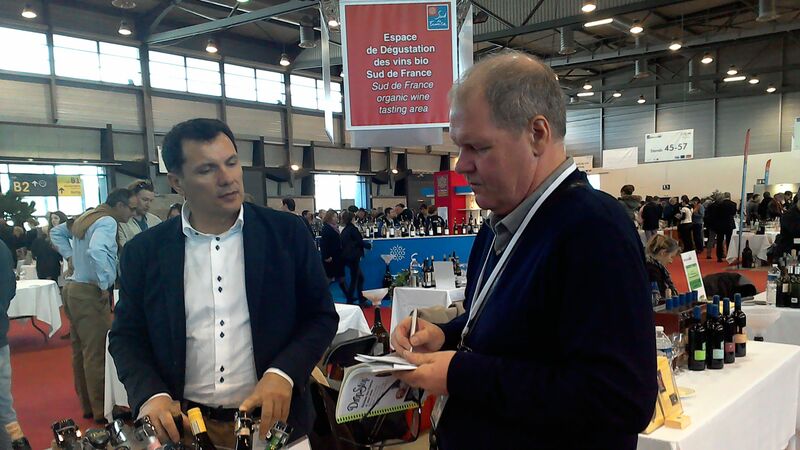 Vincent Carème – I’m a big fan of Vouvray, my first real experience of French wine. These were lovely. Le Clos 13 – rich, mouthfilling lots of fruit and lingering. 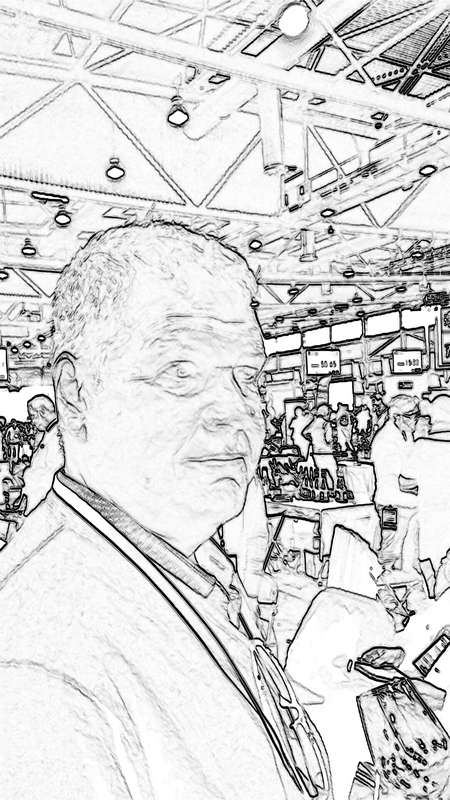 Oaked but just hints showing. 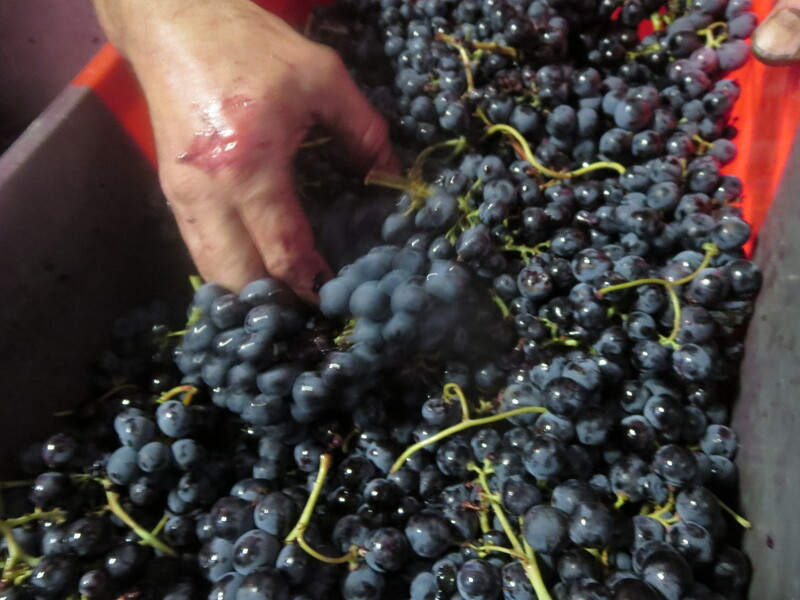 The Anjou dry wines were clean, direct and full of lovely fruit especially Pierrebise 12 and Coteaux De Treilles 11. Nice Savennières too. 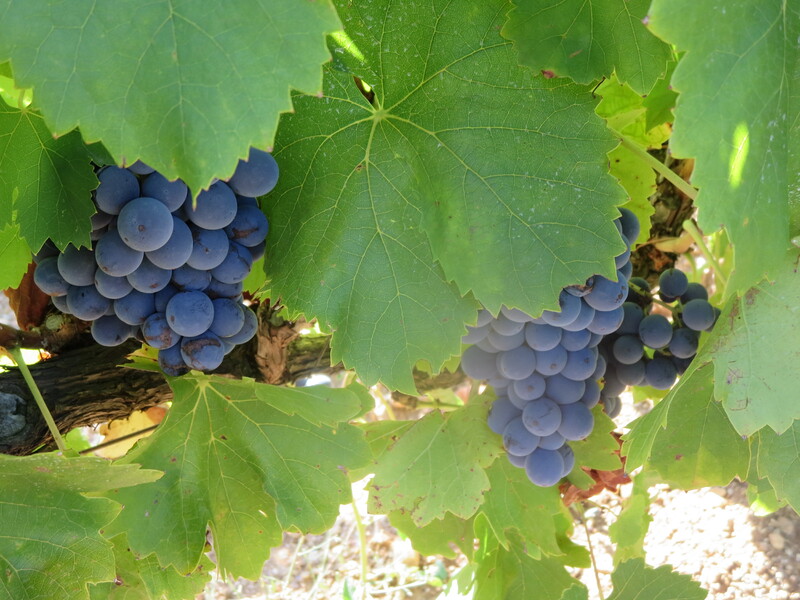 Clos Puy Arnaud – Bordeaux is not often my thing these days and I usually prefer left bank Cabernet Sauvignon to right bank Merlot yet these were lovely Merlot dominated wines, another prejudice blown away. Clos Henri – New Zealand and a different take to most wines on offer. No worse for that. 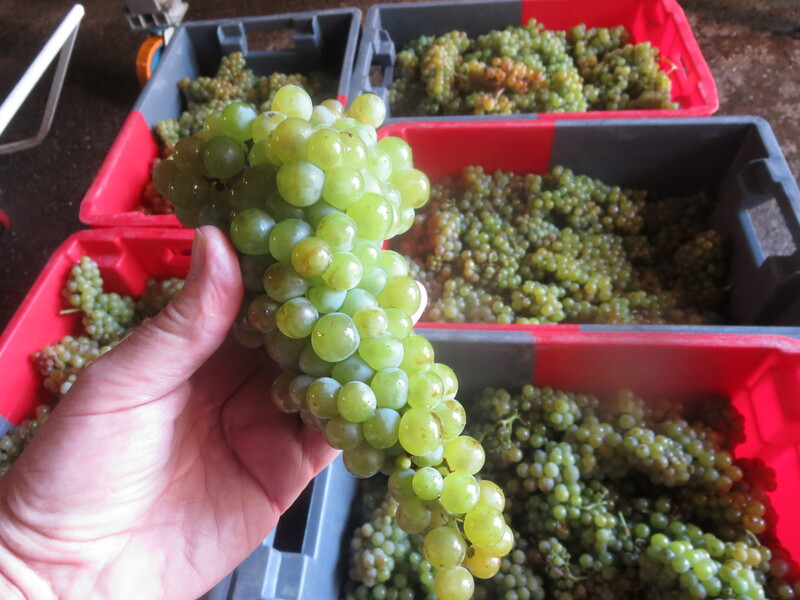 Sauvignon Blanc 13 – classic NZ full. 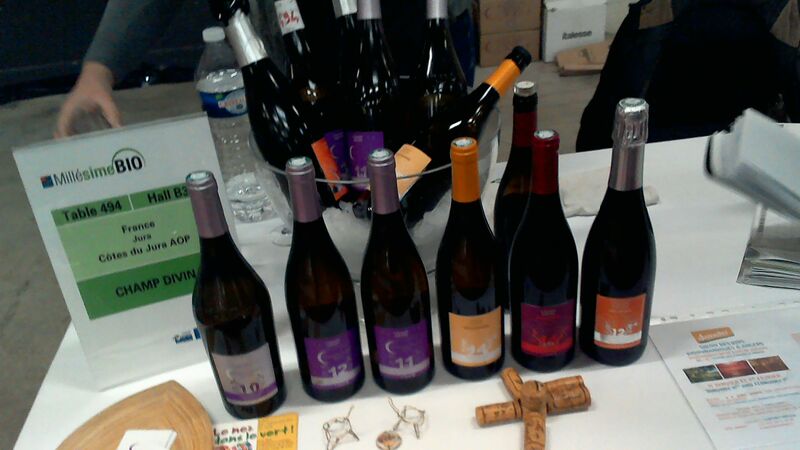 Faller, Henri et Luc – an unsung domaine but a lovely range fro simple varietal wines to gorgeous sweet wines. Riesling 13, classic steely, minerally, young. 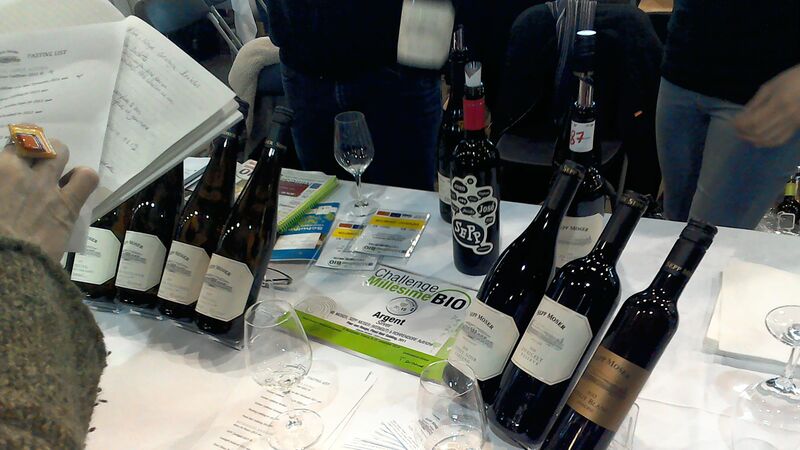 The Vieilles Vignes Fruehmess 11 was lovely, complex and classy Riesling. 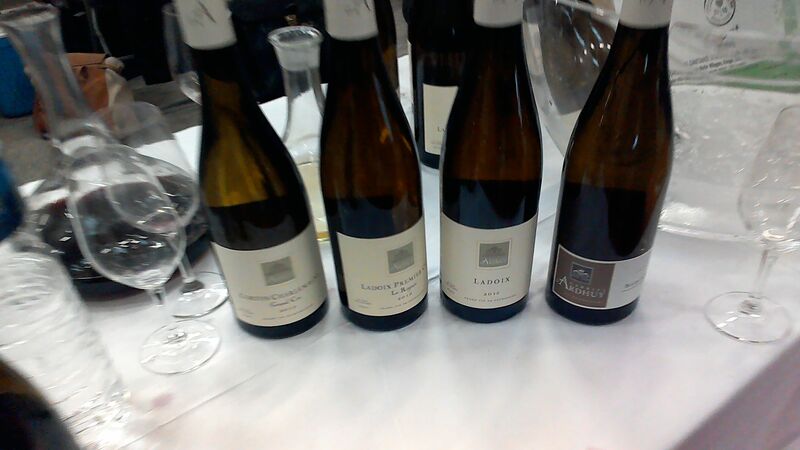 Rieslings shone, Clos Sand was classic Riesling, Leimenthal was richer and rounder but still restrained and fine. 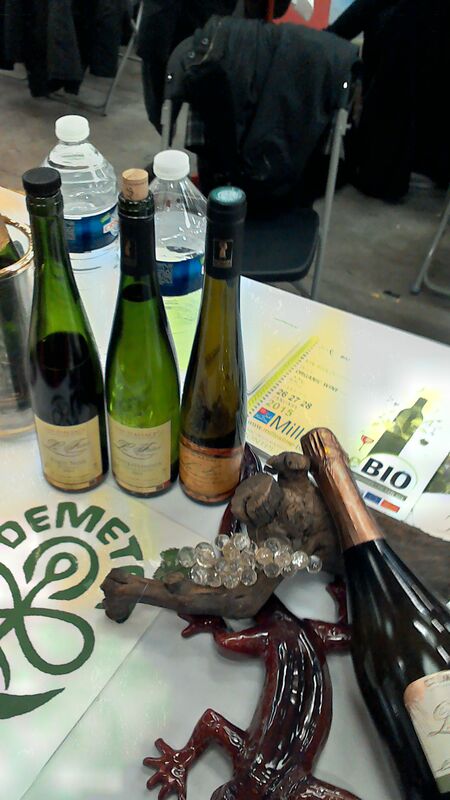 Hengst was lovely with classic mineral flavours hinting at sweet notes. 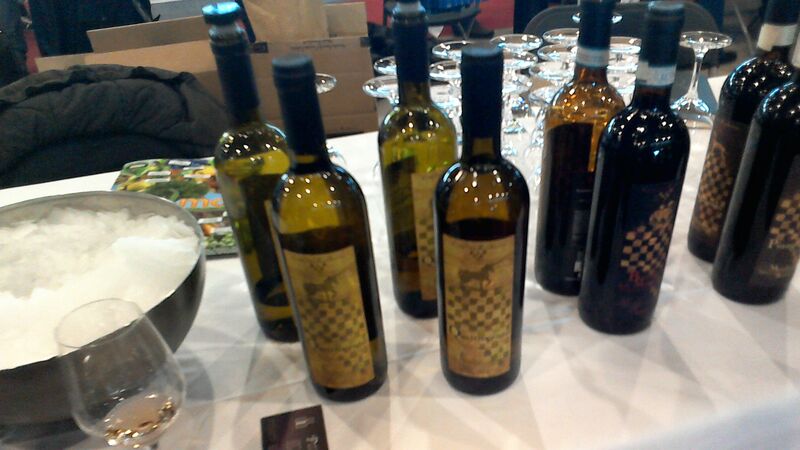 Remember that there were even nore delicious wines at the offline events which, if you haven’t read before, are described here. 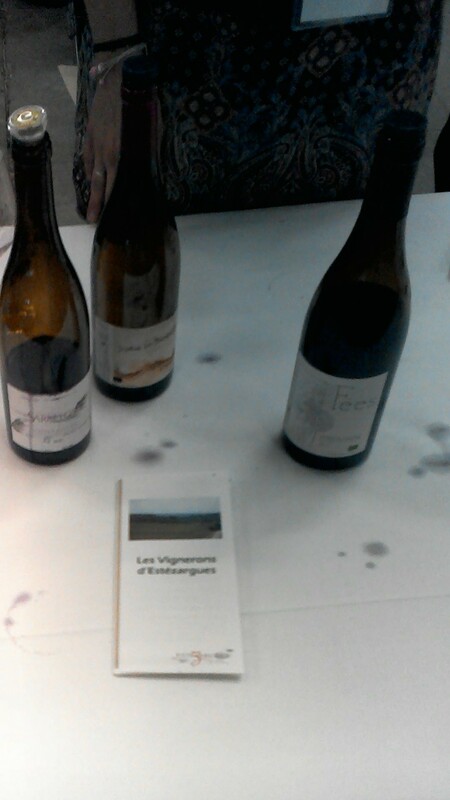 I really enjoyed the wines of les Vignerons d’ Estézargues at Rhône Wine Week in Dublin.